Ashes into jewellery at Names4ever. In heart shape, oval and round. In silver and gold. An ash pendant is one of the most personal and special ways to carry your deceased in your area. 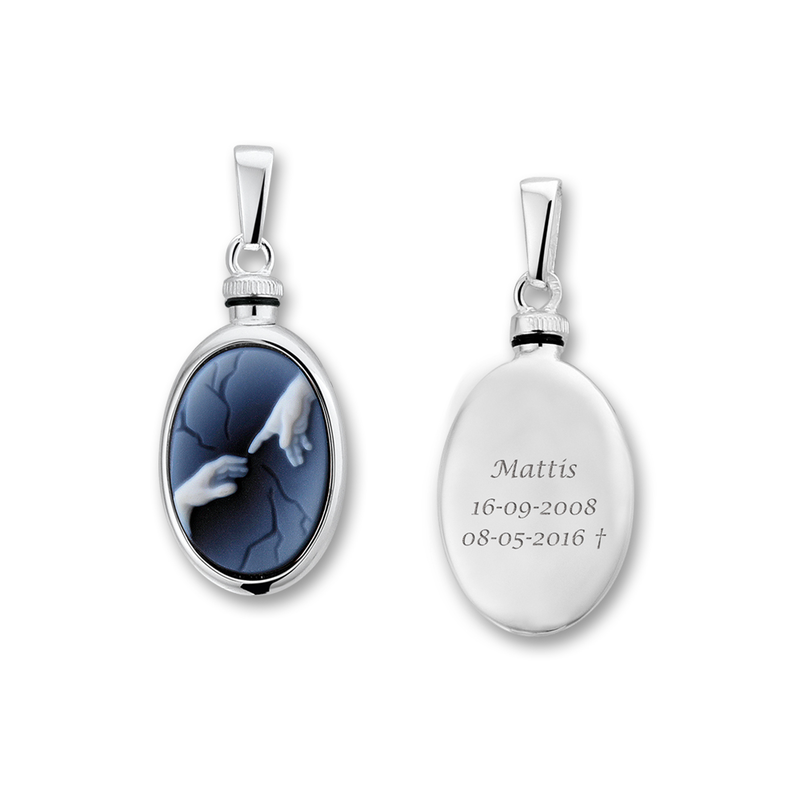 In every necklace for ashes is a little space in which the ashes of a deceased can be stowed safely and carefully. If you have opted for an earth burial, you can also choose a lock of hair, a piece of cloth or sand from the grave. In this way, an ash pendant is a jewel with a very large emotional content because it is so personal and confrontational. 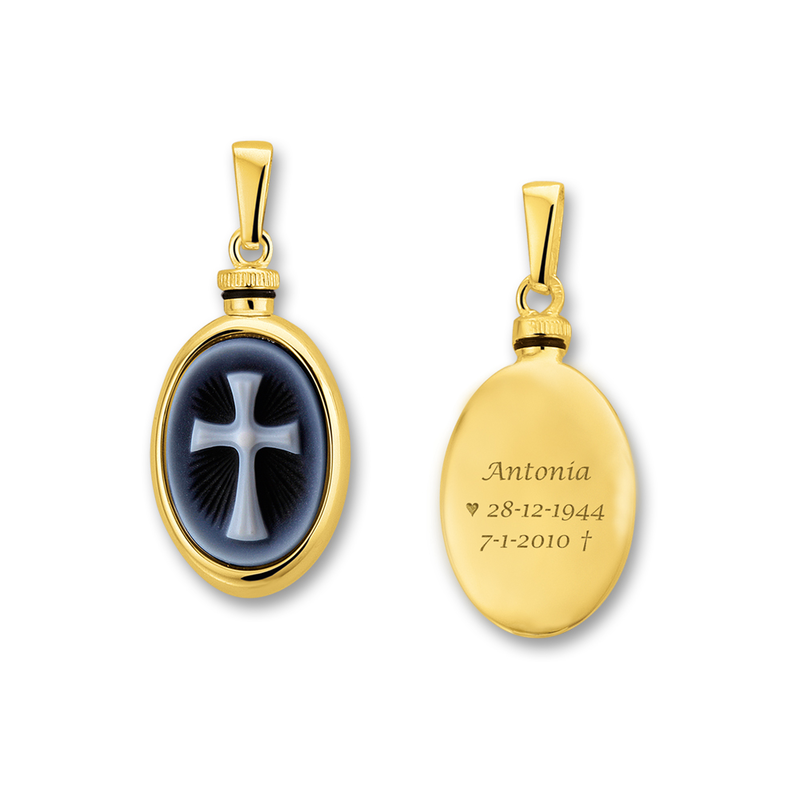 At the same time, an ash pendant offers a wonderful memory and a way to carry your loved one with you every day. At Names4ever, both silver and gold ash pendants are available. So you'll always find an ash pendant that fits your style and budget . Each pendant is also made of high quality silver or gold. So every silver pendant is made of the highest silver content: 925 sterling silver . 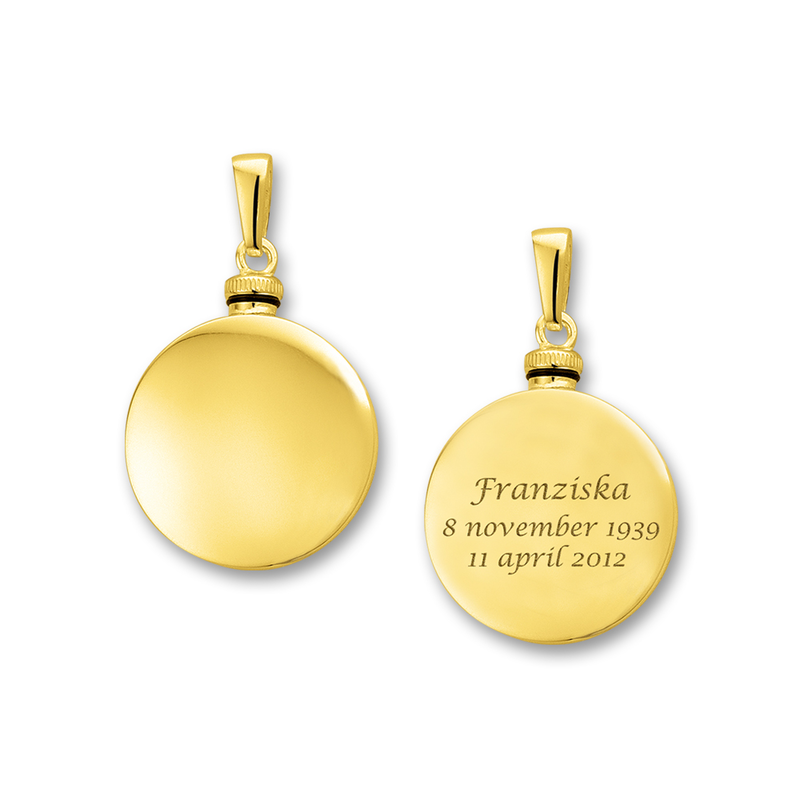 Our gold pendants are all made of genuine 14ct gold . This ensures that every necklace for ash isn’t only beautiful, but also very durable. Do not wear your ash pendant during intense activities such as exercise and cleaning to avoid scratching. Do not wear your ash pendant in full sun to avoid discoloration. Make sure there is no perfume, hairspray, cleanser or sunscreen on your ash pendant. These agents can cause scratches. Store your ash pendant in a private box to avoid scratches so it will not rub on other jewelry. Each ash pendant in our assortment can be engraved with name and date. Of course, another text is always possible. The pendants can also be engraved at the top of the back so that the pendant will not immediately attract attention as an ash pendant if you don’t want it. 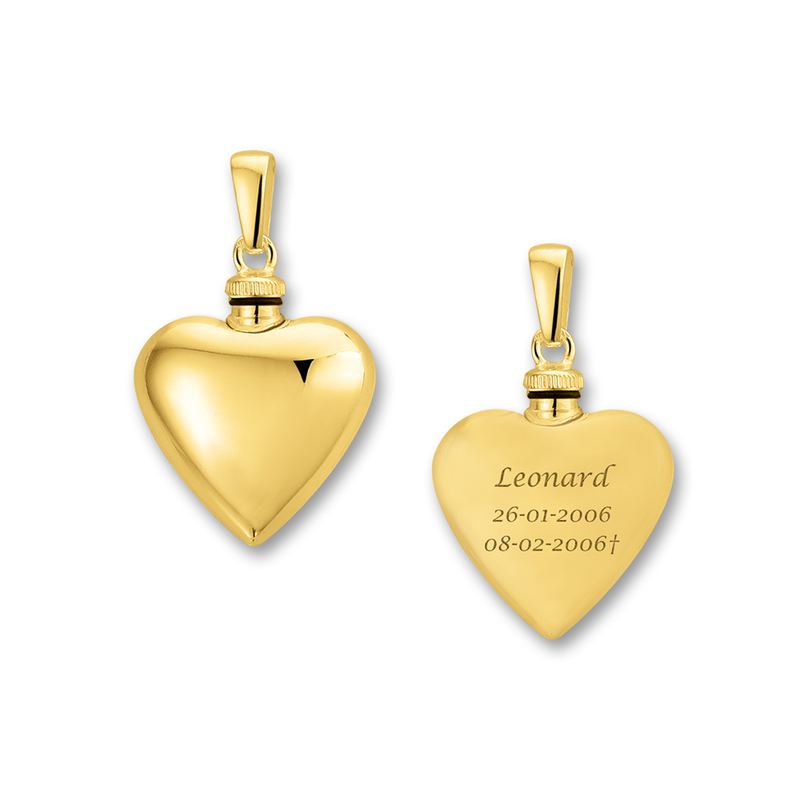 Our Silver and Golden pendants are also available in different shapes and styles , from the heart to round and oval. So you can always remember your loved one in your own way. All our ash pendants can be delivered with or without silver or gold chain. How do I order an ash pendant? Your personal ash pendant is easy and safe to order at Names4ever. Choose your favorite pendant and necklace and enter your desired text . 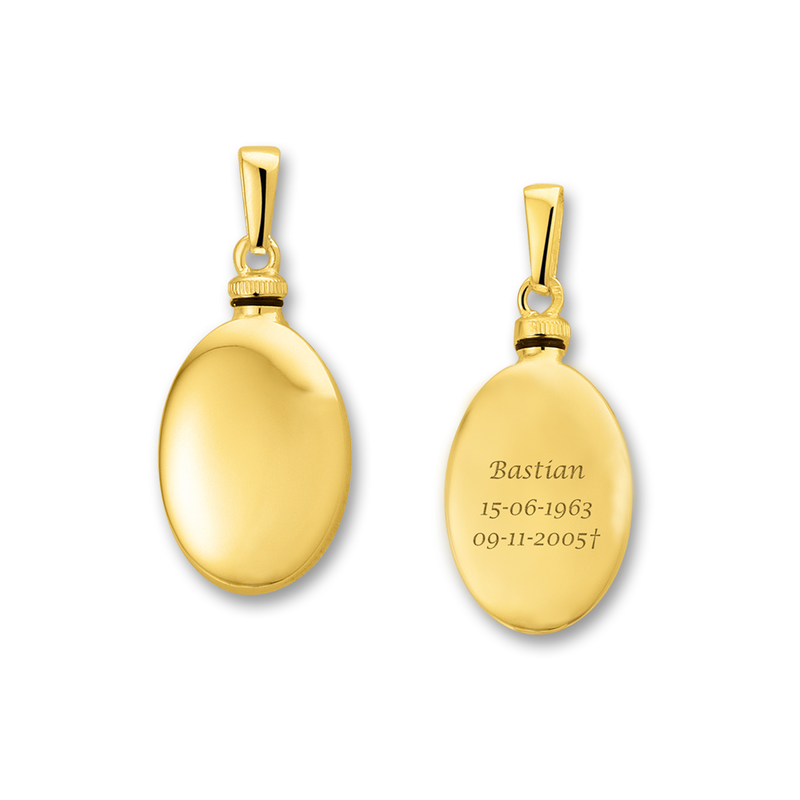 We make the pendant for you and engrave it with the utmost care and the latest techniques . You will receive your followers in 10 working days , after which you can fill the ashes of your loved one yourself. All of our jewelry for ashes come in a beautiful jewelry box. Any questions? Please contact our Customer Service or check out frequently asked questions . Do you have a special request? You can also contact our customer service. We look forward to helping you.